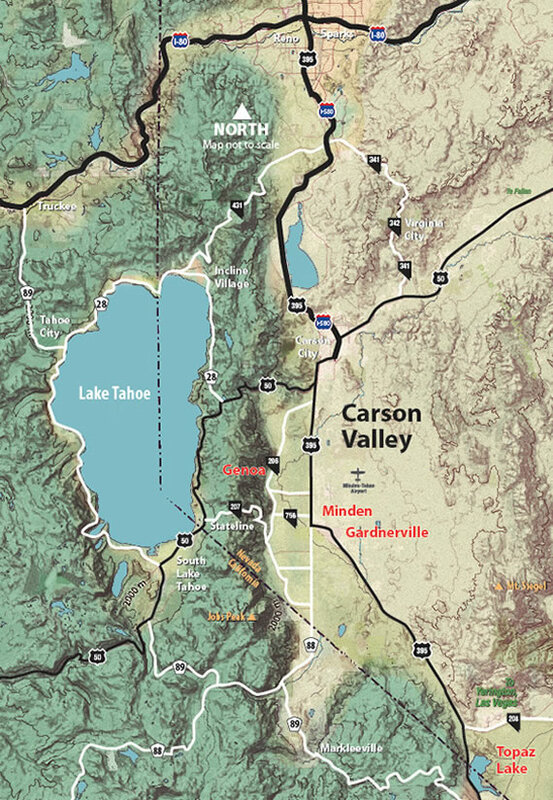 A 74-room facility located on the grounds of the Carson Valley Inn Hotel/Casino. Exterior room entries, two stories, park-at-your-door convenience. Rooms have one king bed or two queen beds, coffeemakers, some with refrigerators, free Wi-Fi. Adjacent to the Carson Valley Market convenience store. Short 100-yard walk to the Hotel/Casino, with business center, indoor pool/spa/fitness facility, casino, entertainment, meeting rooms and three dining choices: Katie's Country Kitchen, CV Steak and Job's Perk.